It's official. 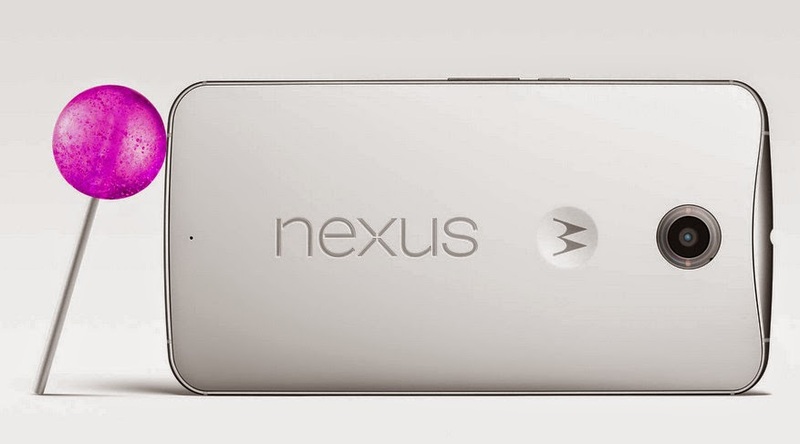 The sixth iteration to the Google Nexus smartphone line - and the first handset to run vanilla Android 5.0 Lollipop - is made by American handset company Motorola. According to Motorola Mobility (which will be fully acquired by Chinese technology giant Lenovo pending closure of the $2.91 Billion USD deal with previous 'owner' Google), "[...] We’ve been big believers in Android since the very beginning. We love its power, its flexibility, and how it gives you the freedom to choose the experience that’s right for you. In fact, the only thing that would be better than Android is...more Android. That’s why we’re so excited to have been able to work with Google’s Android team to bring you the new Nexus 6, featuring Android 5.0 Lollipop." "As previewed at Google I/O, Lollipop is our largest, most ambitious release on Android with over 5,000 new APIs for developers. Lollipop is designed to be flexible, to work on all your devices and to be customized for you the way you see fit. And just like Android has always been, it’s designed to be shared," said Google. "Lollipop is made for a world where moving throughout the day means interacting with a bunch of different screens -- from phones and tablets to TVs. With more devices connecting together, your expectation is that things just work. With Lollipop, it’s easier than ever to pick up where you left off, so the songs, photos, apps, and even recent searches from one of your Android devices can be immediately enjoyed across all the other ones. As you switch from one screen to another, the experience should feel the same. So Lollipop has a consistent design across devices -- an approach we call Material Design. Now content responds to your touch, or even your voice, in more intuitive ways, and transitions between tasks are more fluid. And because we’re using our devices a lot more, there’s a new battery saver feature that extends the life of your device by up to 90 minutes -- helpful if you’re far from a power outlet. We’ve enabled multiple user accounts and guest user mode for keeping your personal stuff private. And you can now secure your device with a PIN, password, pattern, or even by pairing your phone to a trusted device like your watch or car with Smart Lock. But this is just a small taste of Lollipop." With Nexus 6, Motorola closely worked with Google to give consumers a bigger smartphone with more of everything: More Screen, More Speed. More Power. And the best Android experience ever. More Room to View: With a 5.96-inch Quad HD AMOLED display, Google Nexus 6 is great for watching movies, viewing photos, reading e-books, and playing games, among others. More Doing, Less Charging: The phablet's non-removable Li-Ion 3,220 mAh battery pack gets you through your day and more. Plus, the Motorola Turbo Charger that's included in the package gives you a quick burst of power when your battery needs it the most. All it takes is 15 minutes to get up to an additional 6 hours of battery life -- that's Motorola's promise! More Raw Power: The device is powered by Quad Core 2.7 GHz Krait 450 and Adreno 420 based Qualcomm Snapdragon 805 chipset complemented by 3GB of RAM, and either 32 or 64 GB of internal storage to ensure optimum gaming and overall touch performance. More Epic Shots: Nexus 6's 13 Megapixel Camera with Optical Image Stabilization, HDR+, and LED flash lets you take your best possible photos with the least possible effort. More Sound in Stereo: With dual front-facing stereo speakers, users will get an immersive stereo sound that's great for experiencing music, movies and games as one should. 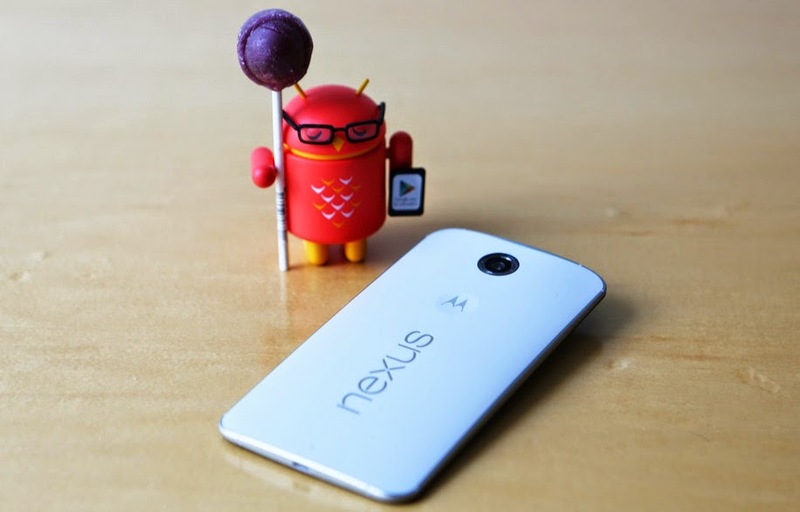 More with Lollipop: Google Nexus 6 ships with Android 5.0 Lollipop right out of the box; The first device ever to do so. Lollipop introduces Material Design language that presents content in such a way that they respond to your touch, or even your voice, in more intuitive ways, and makes transitions between tasks even more fluid. Plus, new call and message notifications allow you to act on or dismiss them without interrupting or leaving what you’re doing on your device. And much, much more. 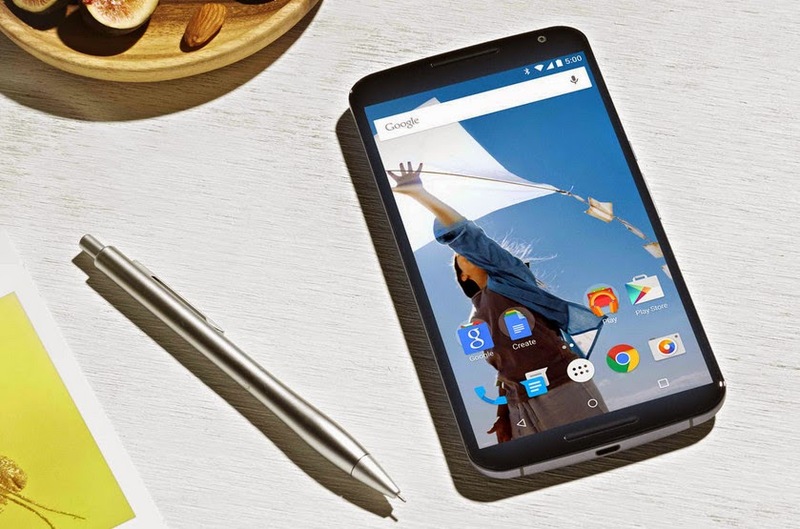 In the United States, Google Nexus 6 by Motorola will be available for pre-order through the Google Play Store in late October starting at $649 -- making it almost twice as expensive than last year's Nexus 5 made by Korean Giant LG. Anyway, there are currently two colors to choose from - Midnight Blue or Cloud White - with two memory options: 32GB and 64GB. Will it be coming to the Philippines? Motorola doesn't really have a headquarters here. Nonetheless, there are a handful of brick and mortar stores and online sellers that carry the brand. Also, local networks - particularly Smart Communications - are traditionally known to bundle Nexus releases with their postpaid plans. According to Motorola, "In all, Nexus 6 will come to 28 countries across Europe, Asia Pacific and North America starting later this year and as we head into Q1."